NEC has released a new 27-inch performance mainstream monitor aimed at business and enterprise customers that are after a 4K display with modern USB Type-C connectivity. 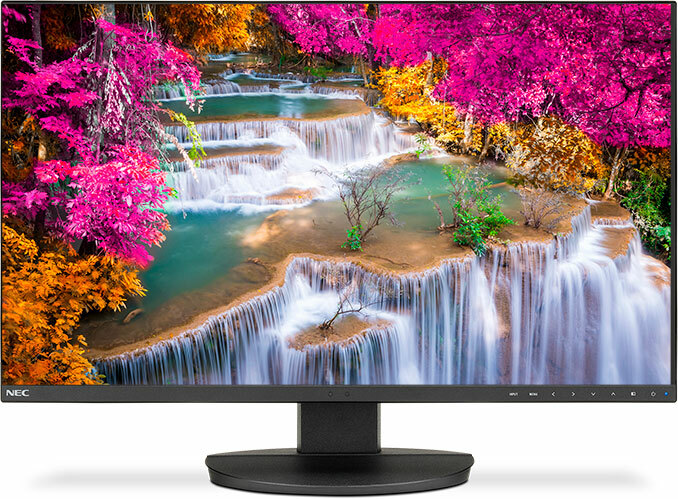 The MultiSync EA271U monitor offers rather typical specs for an LCD of this class, but adds some additional features to cut down power consumption of the device, which may appeal to certain companies. 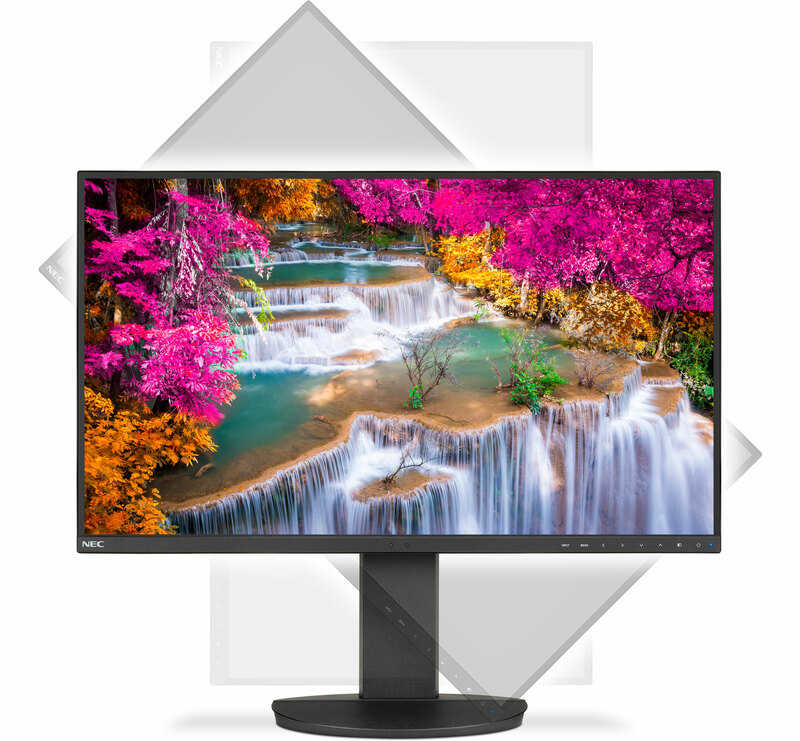 The NEC MultiSync EA271U is a 27-inch IPS monitor that offers a 3840×2160 resolution, 350 nits brightness, a 1000:1 contrast ratio, 178° viewing angles, a 60 Hz refresh rate, and a 5 ms response time. While the LCD is aimed at typical business and enterprise workloads, it's still a 10-bit panel and can reproduce 1.07. billion colors, a rare feature for products of this class. As for color gamut, it covers 100% of the sRGB color space, 78.1% of the AdobeRGB gamut, and 75.1% of NTSC. One of the prime features of the MultiSync EA271U are its thin 1-mm bezels that enable users to build near-seamless dual or multi-display configurations. Meanwhile the monitor is supported by NEC’s ControlSync software that enables easy setup of up to six displays. Two other interesting features that the NEC MultiSync EA271U monitor offers are ambient light and human presence sensors, which can adjust brightness depending on ambient lighting or switch to power saving mode if the user leaves. Since many companies are trying to cut down their power consumption and “go green”, the said capabilities may actually sell the product to the target audience. 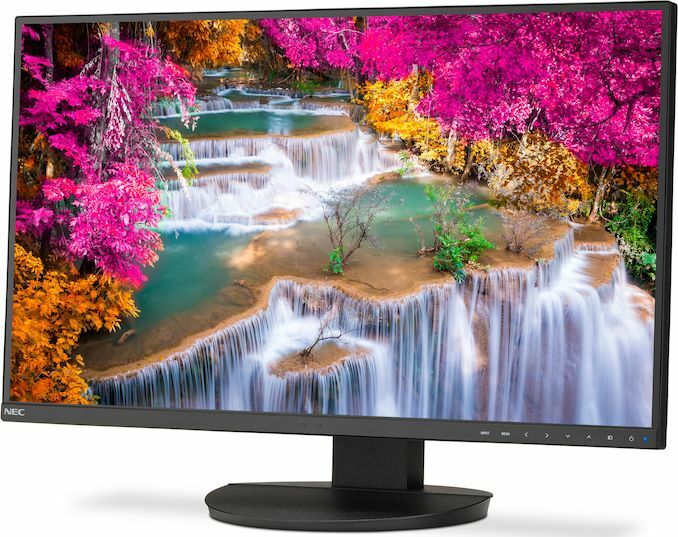 When it comes to connectivity, NEC’s monitor for business and enterprise clients features a DisplayPort 1.2 input, two HDMI ports, and a USB Type-C input with DP alt mode support. The latter can deliver up to 60 W of power to connected laptop, which is enough for typical 13.3-inch machines. In addition, the display has a triple-port USB 3.0 Type-A hub, built-in speakers, audio jacks, and an adjustable stand. NEC’s MultiSync EA271U-BK display is now available directly from the company for $699. For those who need color accuracy, NEC also offers display calibration tools and even a display hood. 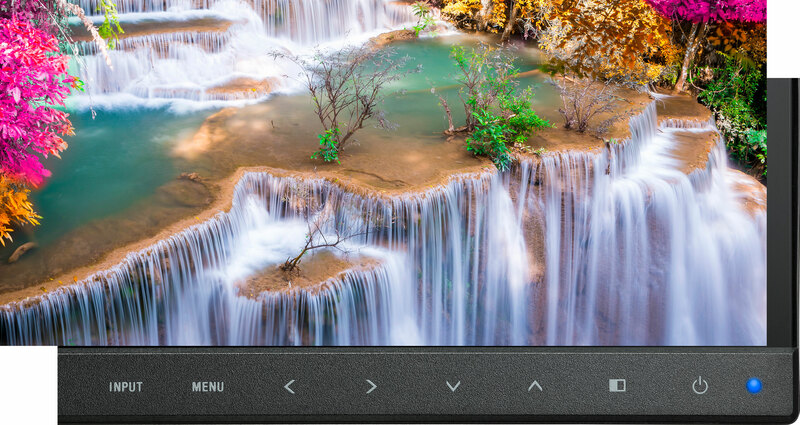 Like that NEC's high gamut displays are getting some narrow bezel options. Dislike the difference in bezel size on the bottom border, it makes portrait mode monitors look a bit odd due to different bezels sizes on top and bottom. How are those narrow bezels? Are you sure it's 1mm and not 1cm? If you're looking at the pictures on this page; the all appear to be renders. In the second render the monitor is rotated enough that if don't look closely and realize you're seeing both the front bezel and the right side of the monitor it looks like the right bezel is as big as the bottom one. "You're right, the industry calls the plastic around the screen the bezel, which is 1mm on this model. The area between the active screen and the outside of the bezel is 7.6mm on the three smallest sides." Exactly, no idea why the industry settled with 27inch for 4k...makes no sense. I guess just because cheaper to make, but no reason they can't do a 32inch version as well.